Vegas is one of the few cities on Earth where you’re encouraged to do pretty much whatever…but with a few notable exceptions. 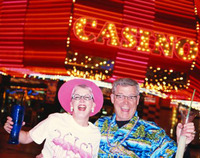 Check out this list from Concierge.com of Vegas experiences to avoid at all costs. Finally!